Working with Cheshire grown seasonal flowers to create a masterpiece of your own. 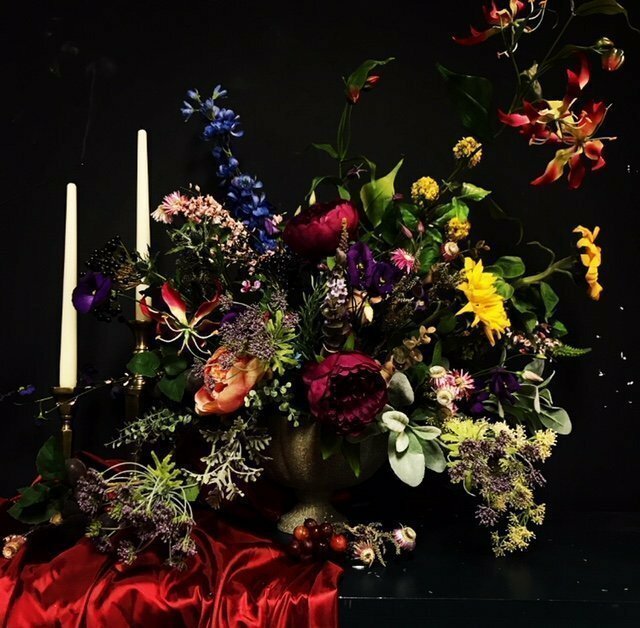 With inspiration from classic Dutch masters paintings, cultivating imagination and traditional styled floristry with modern techniques. Being inspired by art really gives a great concept and vision, we will talk through how to blend colours and textures to create an impact that really shows the display off to it’s full potential. To help creativity a glass of bubbly is provided with a yummy cupcake.